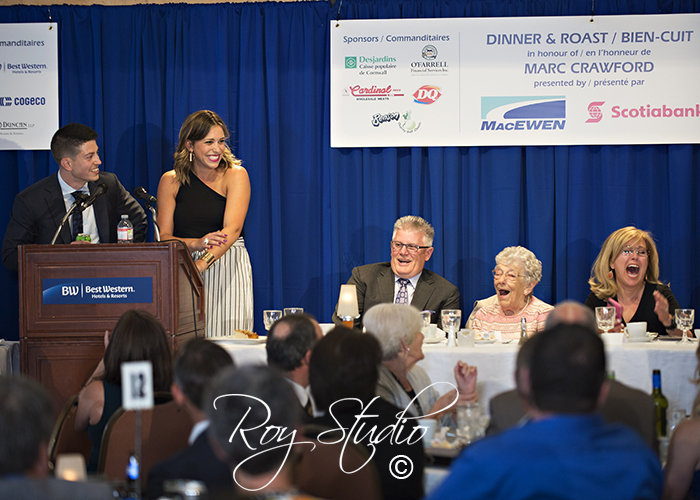 taking photos at the Marc Crawford Roast. Fun night ! Brian Burke giving it to Marc.